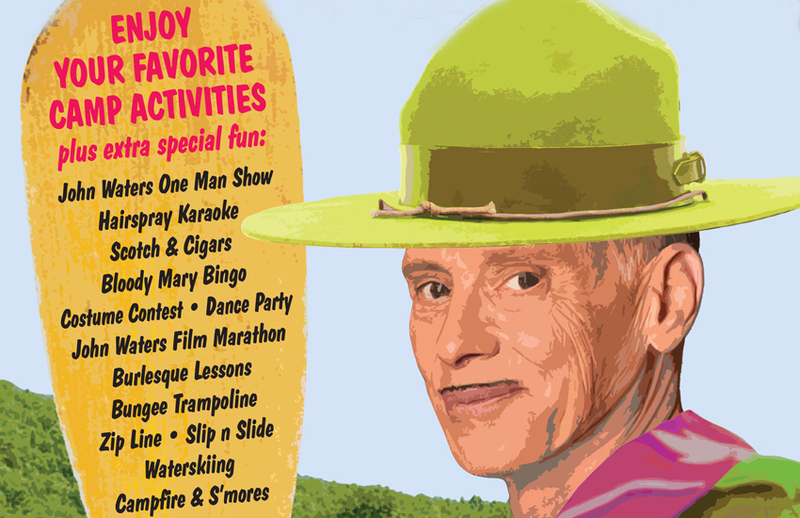 Legendary auteur and LGBT icon John Waters is taking over the adult campgrounds of Club Getaway in the scenic Berkshire Mountains of Kent, Connecticut September 22 -24. Those lucky enough to score a package will experience John Waters’ themed everything including a costume contest, film marathon, and Hairspray karaoke. The Sultan of Sleaze will perform his one-man show, have a reading of his books, and partake in a Q & A. For any fan of the divine director this is the total package. Packages start at $499 with double, triple, and quad person cabins.